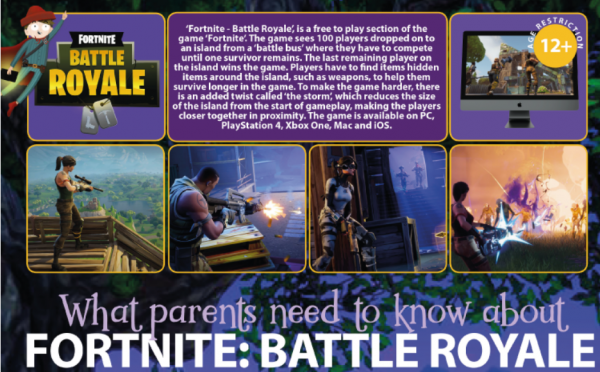 Recently we have noticed many pupils talking about the game Fortnite: Battle Royale. As with many online games, Fortnite comes with risks to children and young people. The game is PEGI rated at 12+, however there is no proof of age required which can expose younger children to violent content as well as inappropriate comments from older users. As a school we have had several recent incidents of children bringing arguments into school which have started during their time on this game. We have also had reports of ‘strangers’ having inappropriate conversations with children and children play acting out the violent content.